Marion Manor Marina is located on the southeast shore of Oneida Lake, near the intersection of Routes 13 and 31. It is a full-service marina, offering a bait and tackle store, boat and motor repair services and rentals, winter boat storage and weekly fishing reports for Oneida Lake. Marion Manor is affiliated with local charter companies to provide the best fishing trips on Oneida Lake. For more information about trips and rates, contact one of the following charters below. Marion Manor has all the supplies and equipment you need for a great day on the water. Need to fuel up? Marion Manor has the only two-cycle gas mix pump available on Oneida Lake. Our convenient on-site store provides a complete line of fishing tackle and live bait, boat motors, ice and a selection of groceries. Marion Manor offers on-site maintenance and repair services for engines and motors on boats up to 50 feet. We specialize in Honda outboard and inboard repairs. Experienced technicians are also available for a wide array of fiberglass repairs, from minor scratches to complete refurbishments. Our network of other local businesses offers a variety of other services, including canvas, propeller and hull repair. The two launches at Marion Manor Marina provide convenient access to Oneida Lake, accommodating boats up to 26 feet. 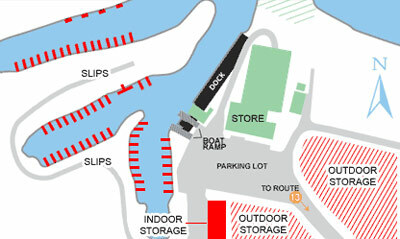 Marion Manor offers 100 slips, indoor storage for up to 40 boats and unlimited outdoor storage.